Are you on the hunt for a new Toyota but are stuck between purchasing a sedan or SUV? Your decision can be based on any number of factors, such as interior space, efficiency, and safety, and coming to a resolution can be difficult. That's where our team steps in! We've put Toyota SUVs and sedans head-to-head to highlight the pros and cons of each type of vehicle so you'll be able to determine whether a sedan or SUV is the right choice. If you have any questions along the way, give the team at our Toyota dealership in Braintree, MA a call at (781) 848-9300. While most Toyota sedans offer substantial cargo space and seating for up to five passengers, the interior capacity of a Toyota SUV simply cannot be beat. Although Toyota sedans provide a comfortable cabin experience-many sedans and SUVs offering 60/40 fold-down seats-Toyota SUVs will ultimately provide more room for storage and passengers. Check out the table below for a complete breakdown of the cargo space, passenger volume, and passenger capacity of the most popular Toyota SUVs at our Braintree, MA dealership. When it comes to filling up your tank at the gas pump, you have to consider what you're willing to spend. It might be more sensible for commuters to choose a 2018 Toyota Corolla because it gets an EPA-estimated 36 MPG on the highway. If you don't want to compromise the added interior space and flexibility of an SUV, the RAV4 is a great alternative to a larger SUV. The compact 2018 RAV4 gets an impressive EPA-estimated 30 MPG on the highway. 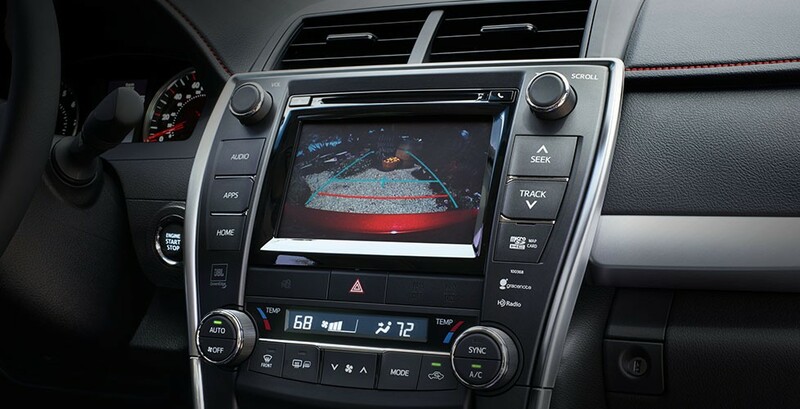 Your safety is top priority on the road, which is why Toyota sedans and SUVs come with many of the same safety features. Take a look at the chart below for a better understanding of the safety and security features on the Toyota SUVs and sedans available at our Braintree, MA dealership. Contact our product specialists for safety feature availability. You can also look through our new vehicle inventory to see which Toyota sedans and SUVs are available with these highly coveted features. Would you like more information on specific Toyota sedan and SUV models? Explore our Toyota model research hub to learn more about all of the Toyota models available at our dealership in Braintree, MA. For more information on any of the vehicles at Toyota of Braintree, send our team a message online or call us at (781) 848-9300.